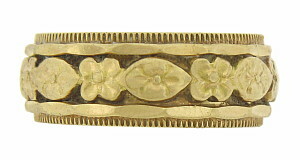 This elegant 14K yellow gold wedding band is adorned with layers of intricate engraving and floral decoration. 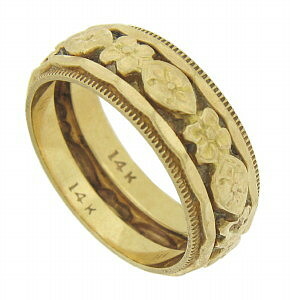 The vintage wedding band measures 7 mm in width. Circa: 1940. Size 5 1/4. We cannot re-size. 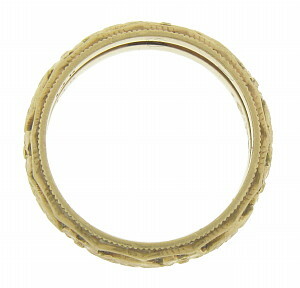 We’re very sorry but this item has been sold recently and is no longer available on our site. Please contact us for more information and feel free to browse our other selections. Thank you.